Internships one way to determine if your career interest is right for you. Want to explore government and politics? An internship on Capitol Hill, for example will help you learn the ropes of D.C. and narrow your choice of jobs. Go find out what you like before graduating and applying for jobs. One of the main benefits of internships is learning to navigate professional settings. Internships give students practical experience and grow them as candidates to join the workforce. They learn time management, how to engage with other professionals, and how to initiate. Being in the real-world helps students understand how their education impacts their practical settings. Click here to read about Ziemnick’s internship experience at WORLD Radio. Students working on off-campus internships have numerous opportunities to connect with others in their field of interest. Simply meeting people and making good impressions is how students can begin their network. Connections are imperative, and internships give students the opportunities to create them. Want to stand out in a crowd and really make your resume shine? Internships impress employers, because internships mean that you have practical experience in your field. “You learn the vocabulary and practices that are common in your vocation, so that when people in your field read your resume and talk with you they get the impression ‘They are one of us,’” Internship Coordinator Dean Thornhill said. Opportunities to get ahead of the game include published works. Click here to learn more about Shiyi’s story as an international student! Employers sometimes use internships as a vetting process for future job candidates. Showing what you can do at an internship will make you more likely to be considered for a fulltime position. PHC students with internship experience have a competitive advantage to potential employees who haven’t, Thornhill said. Alumna Meridian Paulton, for example, was a senior when she began an internship for The Heritage Foundation. Before she even graduated, she was hired as a full-time staffer. Click here to hear about her story! 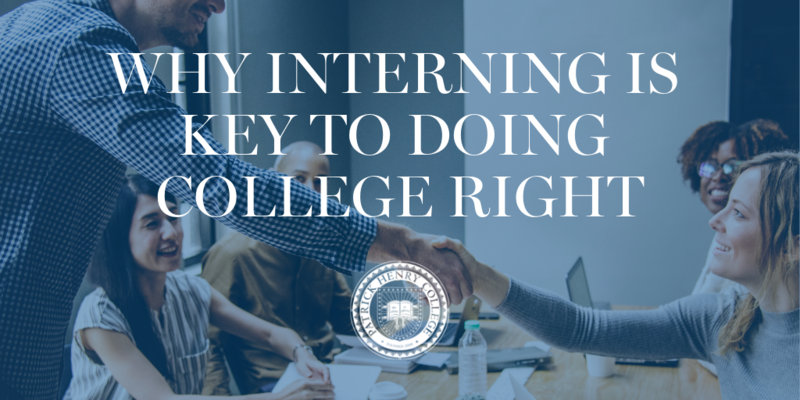 Internships are vital to students’ years in college. PHC’s apprenticeship methodology gives our students real life experience that enable them to excel after graduation. Find out more about what makes PHC and our internships distinctive here!